SC Hoist is a Rack and Pinion EL. 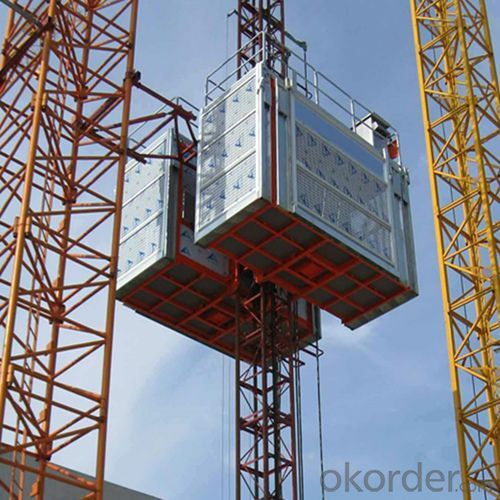 Lift, used on construction site for transportation of personnel and materials. It is installed and dismounted conveniently and can grow as high as the buildings grow in height. There are single cage and twin cage hoists. A single cage can be quickly transformed into twin cage hoist by adding a cage and other parts. The hoist payload can be increased by adding counterweight equipment. SC Hoist has reliable electrical and mechanical safety device. 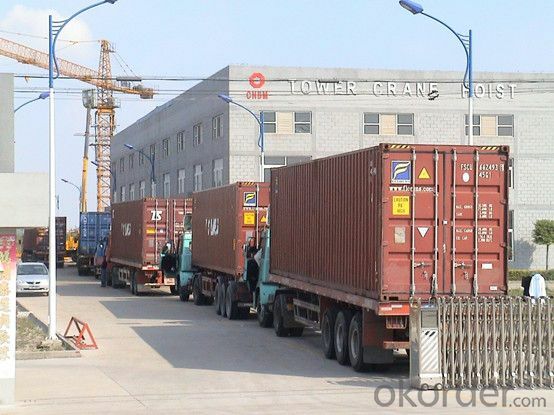 It is a efficient and safety vertical transporting equipment. 1. 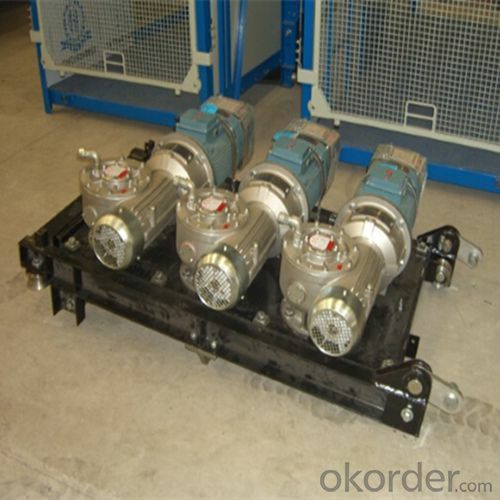 The transmission mechanism is driven by two motors, and pinions and racks are safe and stable due to uniform stress. 2. To ensure the safe operation of the elevator, an overload switch, a speed limit switch and other safety switches are arranged in the circuit; when overload, speed limit and other conditions occur in the operation process, the elevator automatically prevents accidents at once. Each door on cages is provided with a limit switch; when any door is opened abnormally, all the cages cannot start or immediately stop operating. 3. Each cage is provided with an anti-falling safety device which can extremely effectively prevent the cages from falling and ensure the safe and reliable operation of the elevator. 4. The electric control system of the elevator has a simple circuit, is convenient to control and maintain and is reliable. When operating normally, the elevator can be controlled to operate by a handle or button in a cage, can be stopped at any time at any position needing the stop, and can be controlled to stop automatically by upper and lower terminal limit switches at upper and lower terminal stations. When the upper and lower terminal limit switches fail to act, limit switches additionally arranged on the elevator can cut off the power supply in time to stop it in a braking mode. 5. 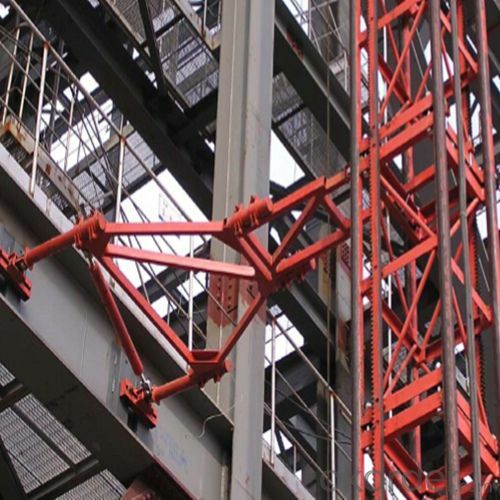 The steel structure adopts a computer-aided design mode and is scientifically and strictly calculated to meet the requirements of reasonable structure, reliable intensity and light weight. 6. The elevator can be self-mounted or make standard knots detached by using a hanger rod on a cage. All the other parts can be conveniently mounted and dismounted, and components are easy to replace. The model of the elevator consists of class, group, type, feature, main parameter and deformation codes. Notes: The main parameter code includes rated loading capacity codes of two cages, for example, only one main parameter code is marked on a single cage. If you have special requirement on power, please state it when order the consignment. We can produce the cage and lengthen the tie-in according to the size the customer requested. We can heighten the erection height according to the customer’s request. “/” means the item does not exist.